We’ve all seen clickbait, i.e. content blatantly written to attract readers simply by writing inflammatory opinions or incorrect facts simply to attract views for the site’s advertisers. The answer is to use an “archived page” of the article/post. 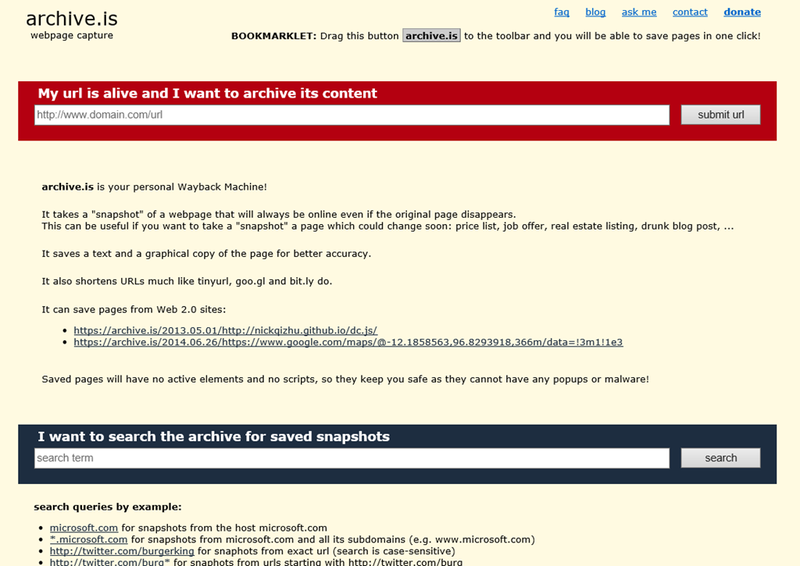 An “archived page” is a replica of the page that is referable by a link & even completely downloadable in a ZIP file. Enter the URL you wish to archive under the field, “My url is alive and I want to archive its content” It will process the URL then send you to a new shortcut to an archive.is page. Use the new URL for future reference to the clickbait. Now, whenever you hit a page you consider clickbait, simply hit this Archive Favorite and you’ll have a referable URL that won’t reward the author with clicks.